As president and COO of the Edward Lowe Foundation, Dan Wyant oversees daily operations and execution of strategy. This includes evaluation of the organization’s current entrepreneurship and land stewardship initiatives and determining new programmatic direction. He also serves as vice chairman of the foundation’s board of trustees, a role he has held since 1998, acting as an interface between the board and management team. 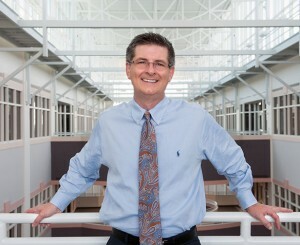 Wyant initially joined the foundation as president and COO in 2005. In 2011 he was appointed director of Michigan’s Department of Environmental Quality and took a five-year hiatus from the foundation, returning in 2016. Wyant has a diverse environmental background in the private and public sectors and has served under three governors. He was director of the Michigan Department of Agriculture (MDA) for nine years, a position he held under two administrations (Governor John Engler and Governor Jennifer Granholm). During his tenure, Wyant helped establish nationally recognized programs for economic development and pollution prevention that not only diversify and add value to Michigan’s economy, but also protect the state’s diverse natural environment. Prior to the MDA, Wyant provided policy expertise for the Senate Majority Office and was associate director of Governor John Engler’s Office of Legislative Affairs. In the private sector, Wyant was a marketing manager for the Ralston Purina Co. and an export trade consultant for Lowe’s International. Within the philanthropic community, Wyant currently serves on the boards of Michigan Celebrates Small Business, the Great Lakes Leadership Academy and Kinexus. Previously he has been a board member of The Nature Conservancy in Michigan and the Council of Michigan Foundations and served on the board of trustees at Southwestern Michigan College. Wyant holds a bachelor’s degree in food systems management from Michigan State University and a master’s in business administration from American University in Washington, D.C.